It’s been a while. I’m sorry for the radio silence. Life has become increasingly hectic. First, I finished the little little badger. The recipient loved it! I’m so relieved. I always have a little doubt demon sitting on my shoulder pointing out all of my mistakes. I’m glad I can shut him up for a little bit. Next piece of life getting crazy, my black belt test is going to be in June. 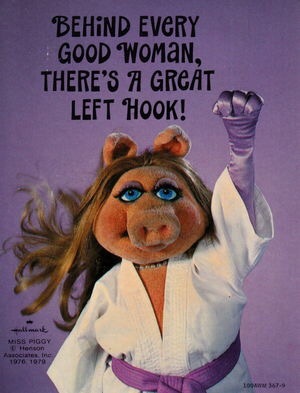 I love karate. I love doing the katas and pushing myself to get better. However, I hate sparring. Well, not all sparring. I like light sparring to work on movement and combinations. I don’t like when my partner thinks pain is the only way to show good technique. Blah. And lastly, after much deliberation we have decided it’s time to move. We’ve lived in Florida for about 6 years. At the time 12 months of sunshine and daily thunderstorms sounded like heaven. Well, we managed to pick the one part of Florida that doesn’t have daily thunderstorms. We barely ever get rain. I need rain. There is just too much sun! There are other factors too, but I won’t bore you with the details. So, for the past 2 weeks I’ve been packing, decluttering, touching up paint, and finishing house projects so we can get the house listed by the end of the month. 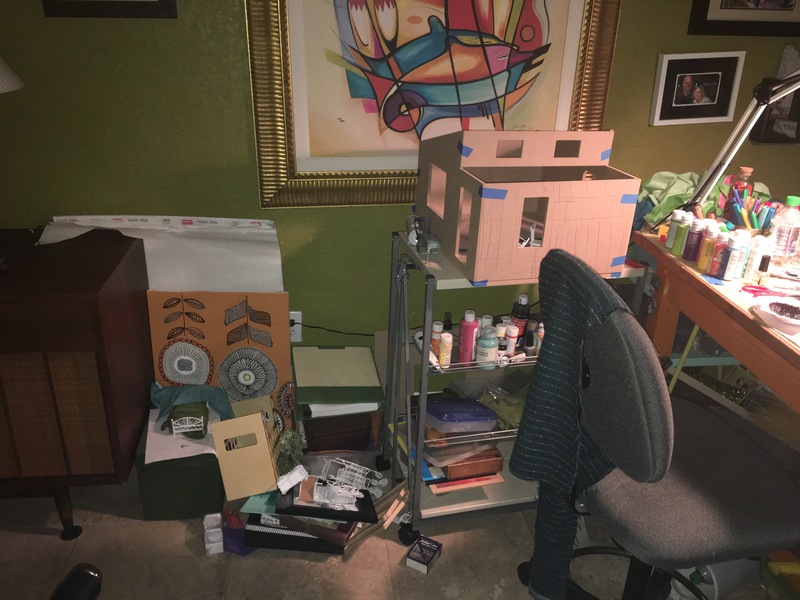 This is the current state of my creative space. I haven’t touched it in weeks! I’m really hoping I can get away with packing up 95% of it and leaving just enough to be able to do some playing. That’s a lot to go through and pack. I also have to pack up my 2 finished houses (that’s going to be fun) and my 2 works in progress. I’m not considering the Craftsman Cabin a workin progress since I haven’t done anything with it yet. Yes, I just took this picture tonight. To say I’m feeling behind is an understatement. 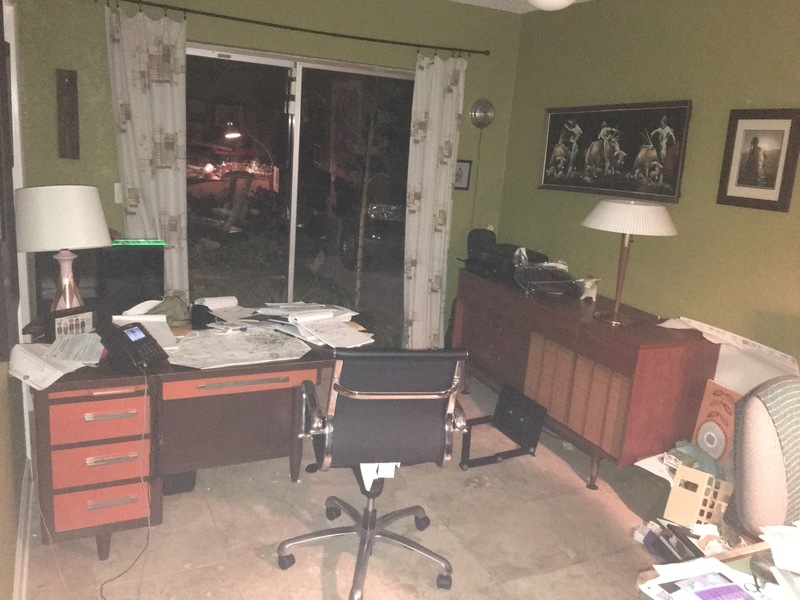 However, im worried that we will need to move all of my stuff, including my desk, out of this room to be able to stage it properly when we get the house listed. I’ll probably go back to how I used to work (on the dining room table and cleaning it up at the end of each play session). Oh, well. There is still so much left to do to get the house ready, I don’t even have time to think about playing right now. That’s where I’m at right now. There will probably be more radio silence until the house is at least listed. I’m dying to play and make little things, but no playing until my work is done. Until then, I’ll be scrubbing floors, rearranging furniture, weeding, and trying to keep my sanity intact. 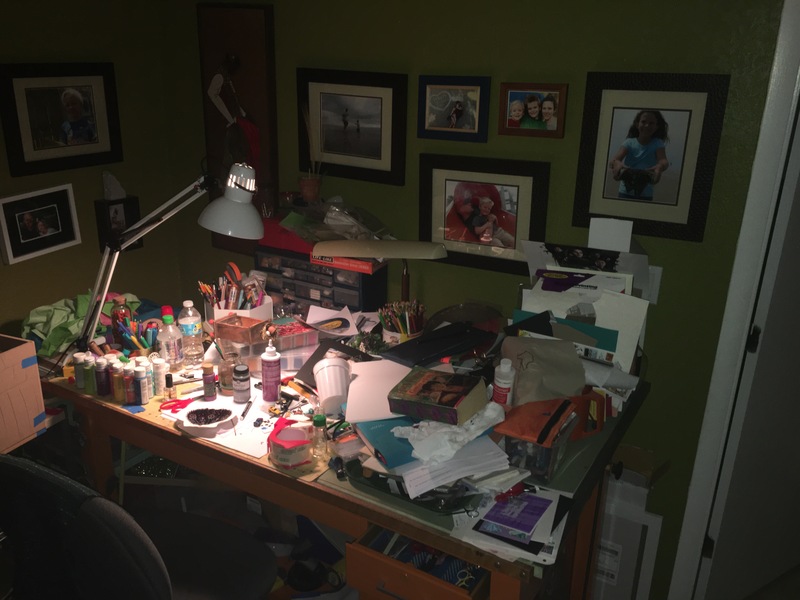 It’s Incredible the amount of STUFF we can accumulate over the years and so I can understand your “internal screaming” when faced with having to pack it all up especially with a deadline, as well as your other interests included in the mix. 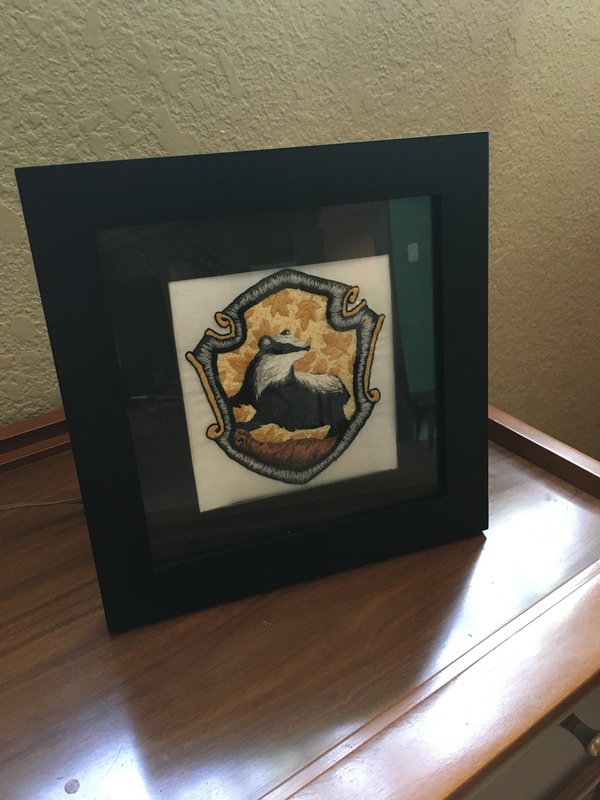 Congratulations on getting your needlework project completed. It was Beautifully done and it’s good to hear that the recipient is delighted with it too! Moving is incredibly stressful, as I’m sure you don’t need me to point out. Pack all the stuff. Find your new place. We’ll all still be here, curious to see what you make, when you have the chance to, once again. To add to the fun, we don’t know where we want to end up. We like to live dangerously. Thank you! I purged my art supplies about 6 years ago. I’ve really tried to buy responsibly since then, but I’m not sure I was successful. Urghhh…moving. No fun. But when you need a change that’s one way to get it. My coping mechanism is lists. Lots of lists. Sometimes I even get whats on them done. You can do it though. And when you’re in your new place with rain now and then you’ll be happy and relaxed and mini-ing to your hearts content. Come on up to the northwest, Morgen! We’ve got plenty of rain to spare! And we are coming up on thunderstorm season, too! Wherever you end up, you’ll be happy as long as you’re all together!